At Auto World, we’re car enthusiasts… and NASCAR® fanatics! 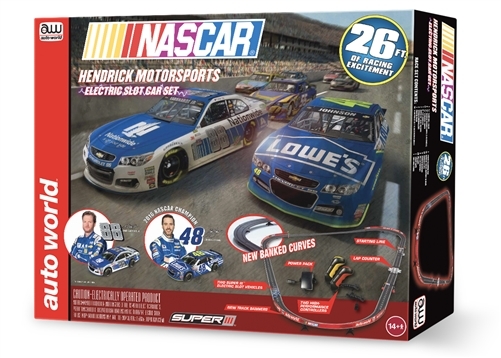 Now you can bring some of that same track-side experience into your home with our new electric slot car race set! 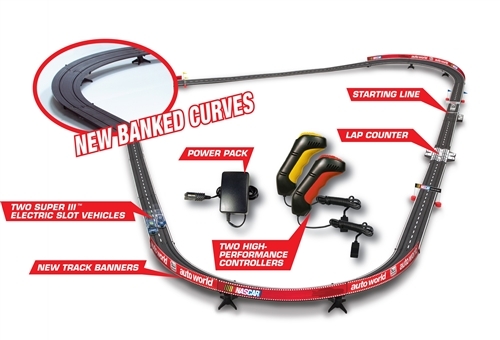 We think you’ll agree that as you speed through the straightaways, whip around the tight corners and cross the ﬁnish line to victory, the NASCAR® experience is truly incredible. So join us at the starting line… and lets get this race going!